Star Wars: Episode VIII has been delayed by about half a year, but that doesn’t mean that everybody is sitting around twiddling their thumbs. At least some filming has gotten underway for the unsubtitled movie and while we know that our new heroes will have even bigger parts than originally planned, we also of at least one supporting character who will be making his return as well. Mike Quinn is the puppeteer responsible for the workings of Nien Nunb. First seen in Return of the Jedi as Lando's co-pilot when taking down the Death Star, he returned as one of the X-wing pilots in Star Wars: The Force Awakens. Quinn was set to make an appearance at a Pensacola area convention, Pensacon, but the actor has had to cancel apparently due to filming scenes for the next episode in the Star Wars saga. The con has had a string of bad luck in this regard as both Peter Mayhew (Chewbacca) and Tim Rose (Admiral Ackbar) were also set to attend the same event and have had to bail out due to filming commitments. 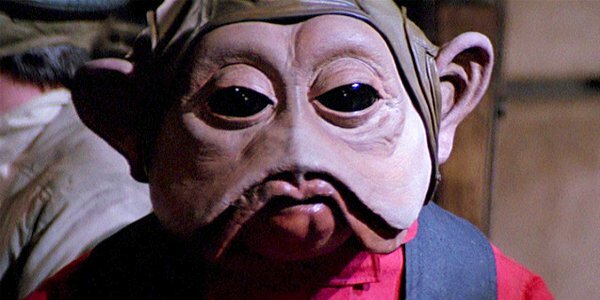 Nien Nunb was one of only a handful of pilots to survive the the attack on the Starkiller Base in the last film. It would make sense that he’s returning, as he’s probably a fairly high ranking pilot now. We’re sure that Poe Dameron will still be the pilot that hogs most of the spotlight, but we would love to see Nien Nunb and Snap Wexley have slightly larger roles in the new film as well. Rebel pilot Wedge Antilles never got the respect he deserved for everything he did in the original trilogy. Let’s not let that happen to this new generation of fighter pilots. The good news is that, while script rewrites have caused some delays in the film, it doesn’t look like they have stopped production altogether. While we have essentially no idea what any of these characters will be doing in the new movie, we can infer that whatever scenes they’re filming are set in stone if they’re being filmed. These could just be simple crowd shots, or scenes showing movement from one place to another, the sort of thing you see in between the important shot, but regardless it does guarantee that we’ll see at least some of Nien Nunb. If filming is happening then at least there is a possibility that we might get some more information about what Episode VIII will actually be about. Just like filming itself, the delays have pushed back our rumors by about six months, but they haven’t stopped them entirely.